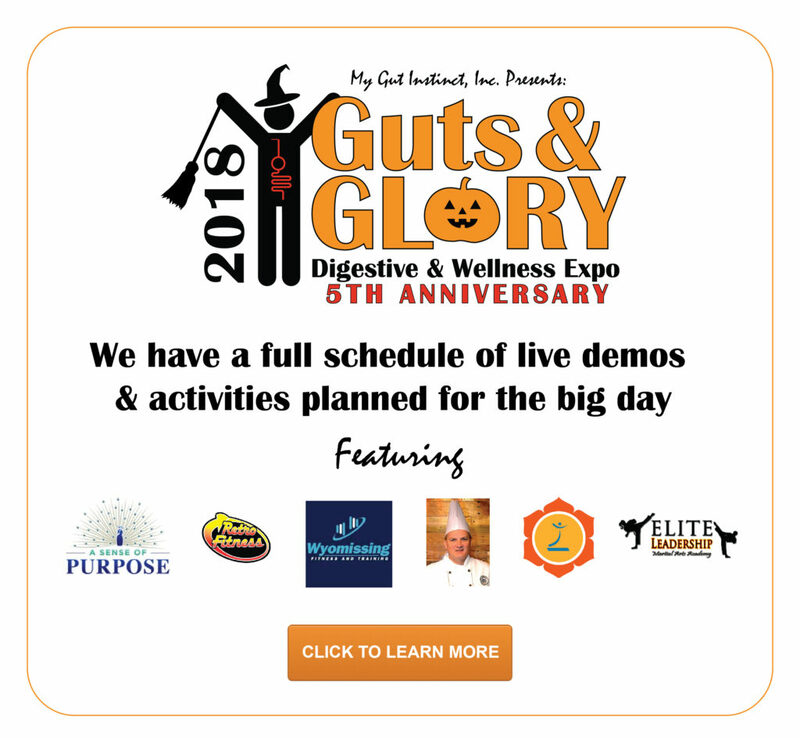 Join us at Guts & Glory 2018 as a Participant! Thanks for your interest in joining us! You can soon be part of an exciting health revolution we are starting here in berks County. This year, we're making the event extra special to celebrate our 5th Anniversary! This unique annual nonprofit, free-for-the-community event has become a new tradition and has been instrumental in empowering our community members to take charge of their inner health and well-being. Your participation and support demonstrates your commitment to the health of the community you are serving. We encourage you to use your table and space creatively to make your business memorable to the public. Interactive booths gather the most interest, and we urge you to include public participation and visual appeal, plus offer free samples and perks to heighten interest in your business and message of health. Please use the form below to register your business or non-profit for a booth at Guts & Glory. Once we receive your tax deductible donation (if applicable) and have reviewed your registration application, we will email you directly with confirmation, which will then officially secure your place at our event. We will communicate with all participants via the email address that you provide with additional details as we get closer to the event. *Please note: our registration deadline is October 1st. Any interested parties can still make inquiries after that time, however there can be no guarantee of participation after that time. Note, if you participated in prior years, we already have your logo on file and it is not necessary to send it again. Other needs / space requirements?